So last week we've already told you about Aries & Dewi's pre-wedding photo, now please kindly let us tell you about their 'ngunduh mantu' event (the Javanese tradition wedding held by the groom's family, usually will be held few days after the reception event) which held at Ballroom Birawa - Bidakara Hotel Jakarta. 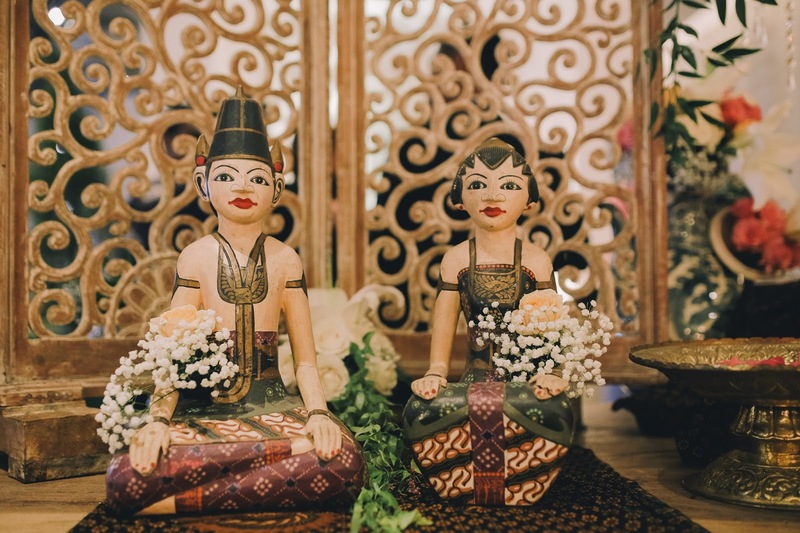 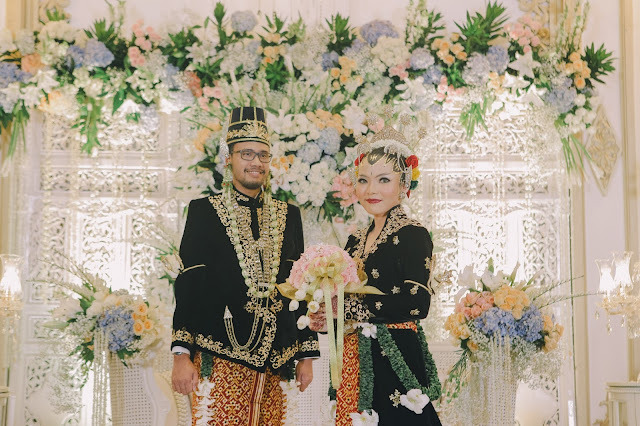 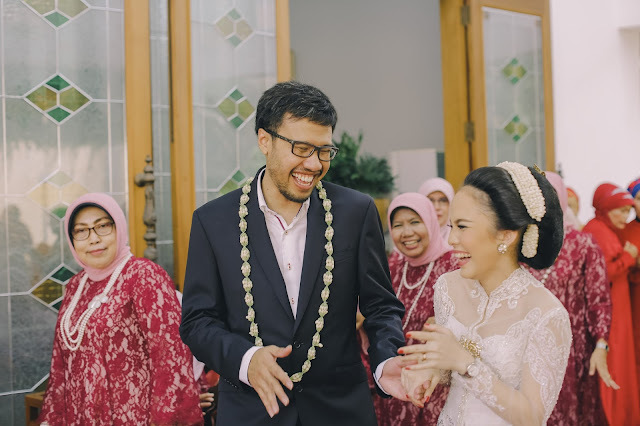 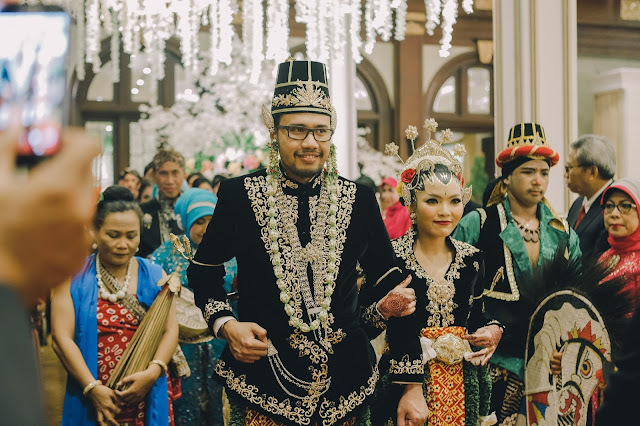 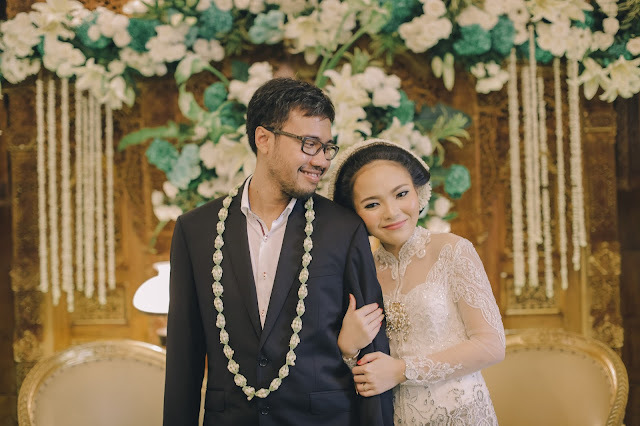 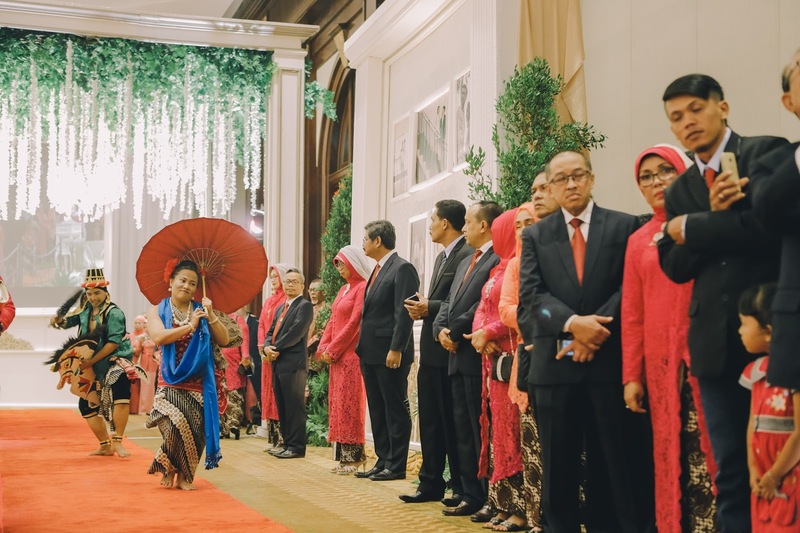 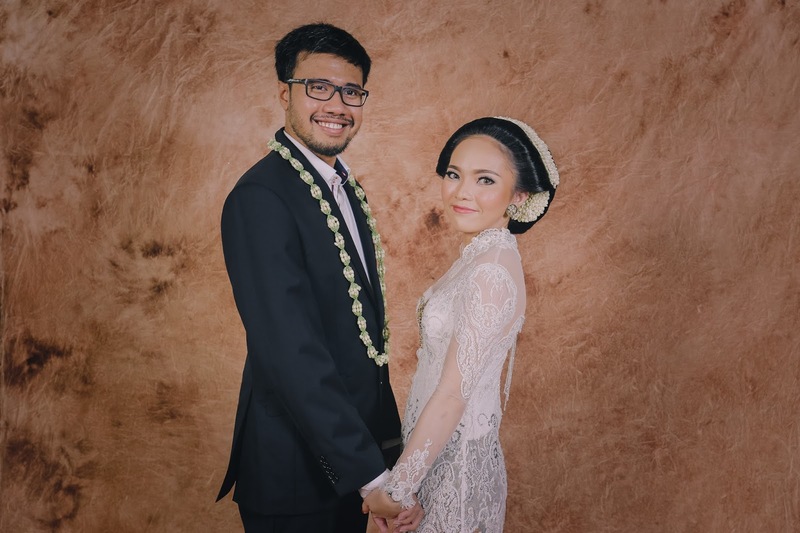 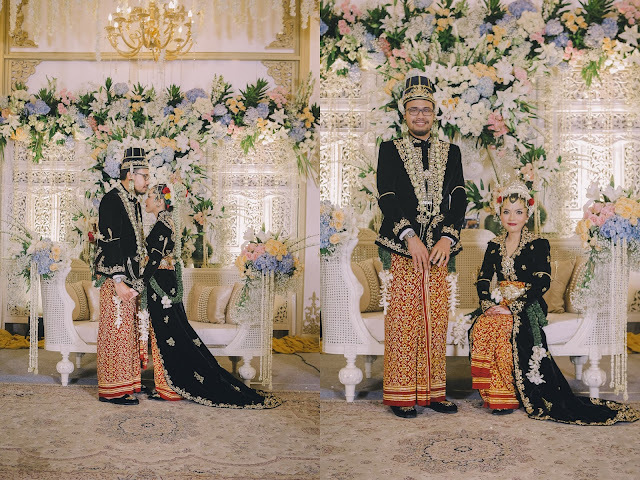 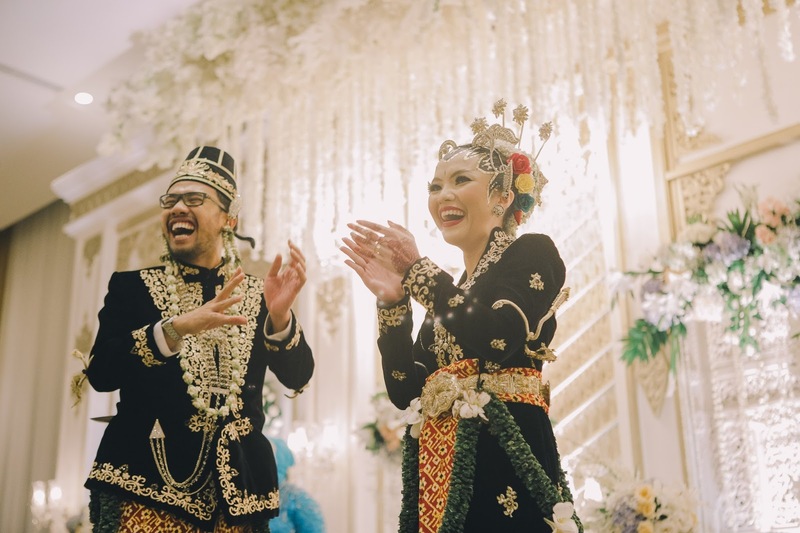 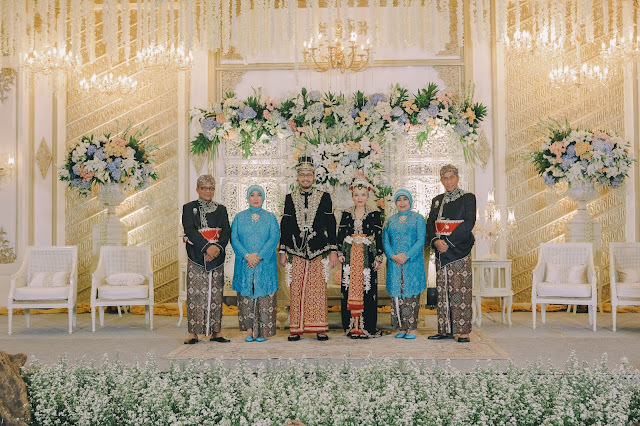 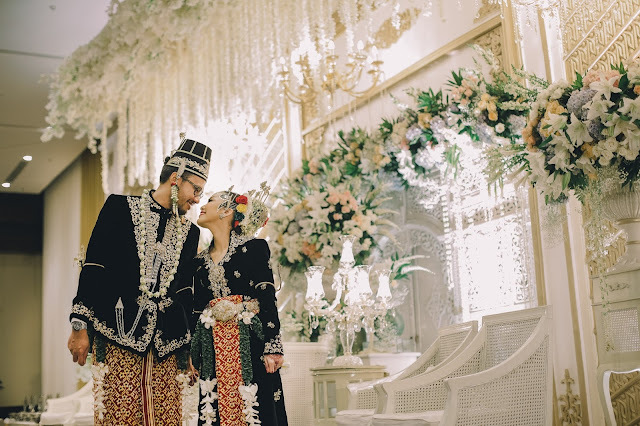 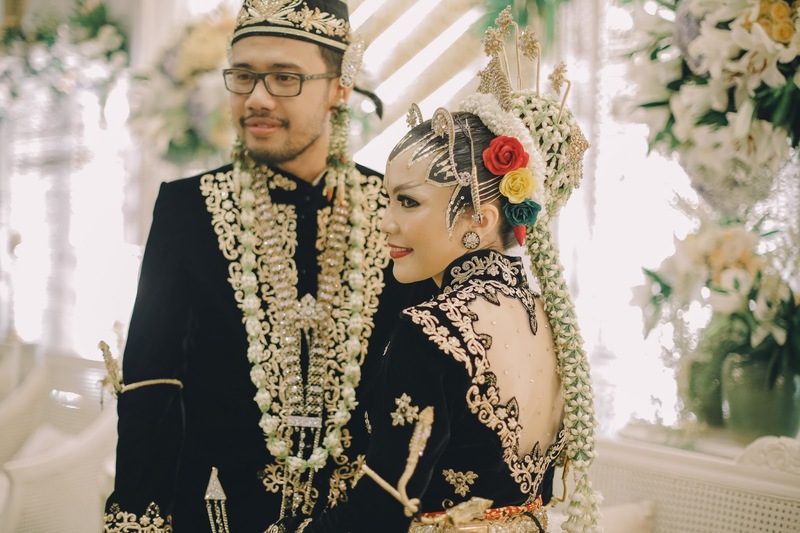 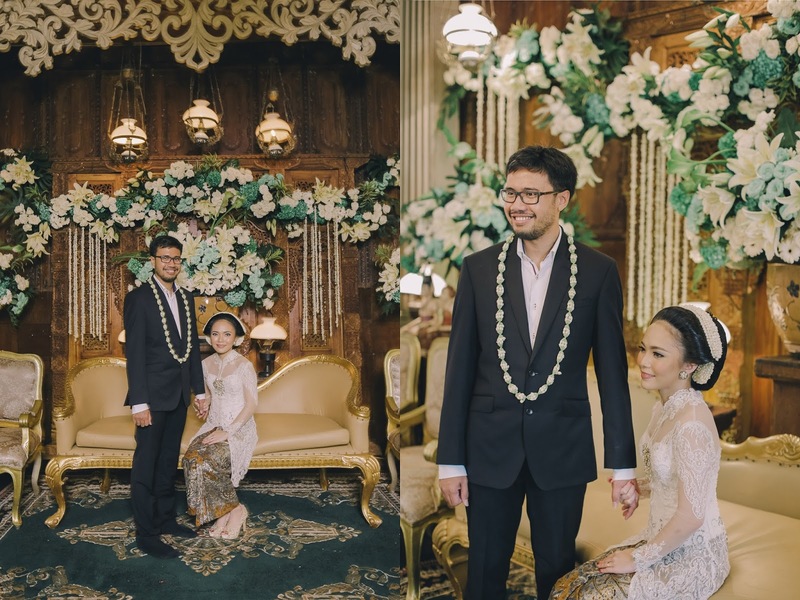 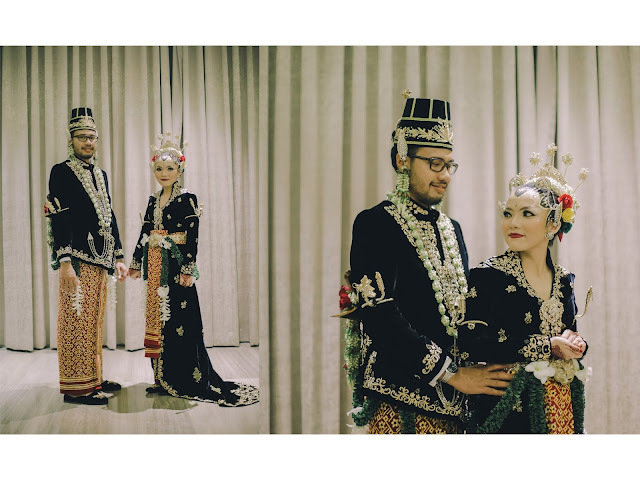 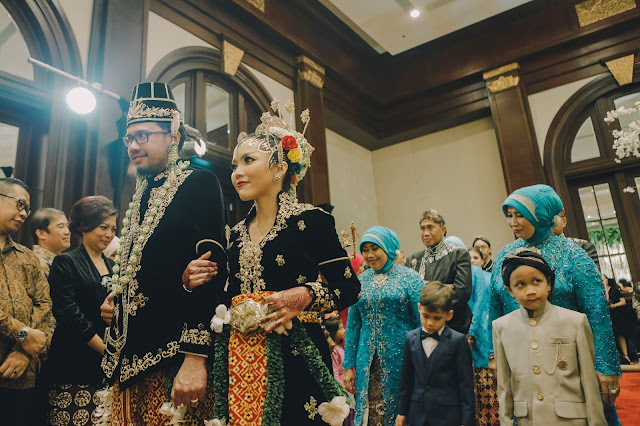 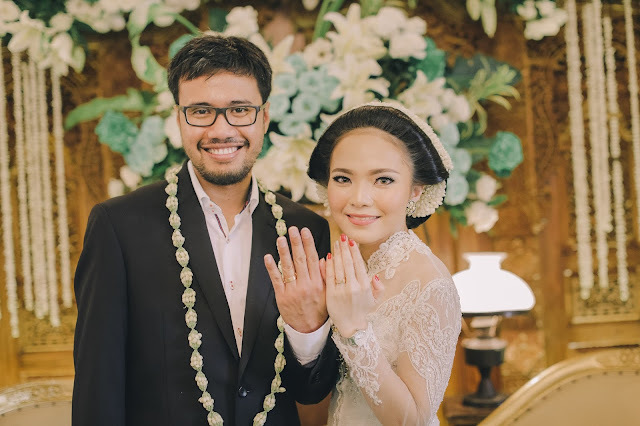 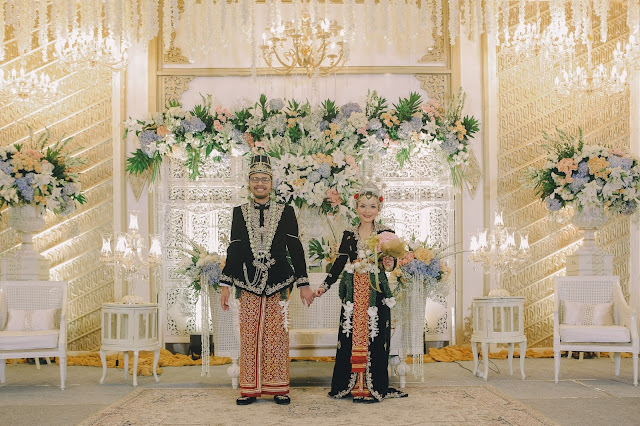 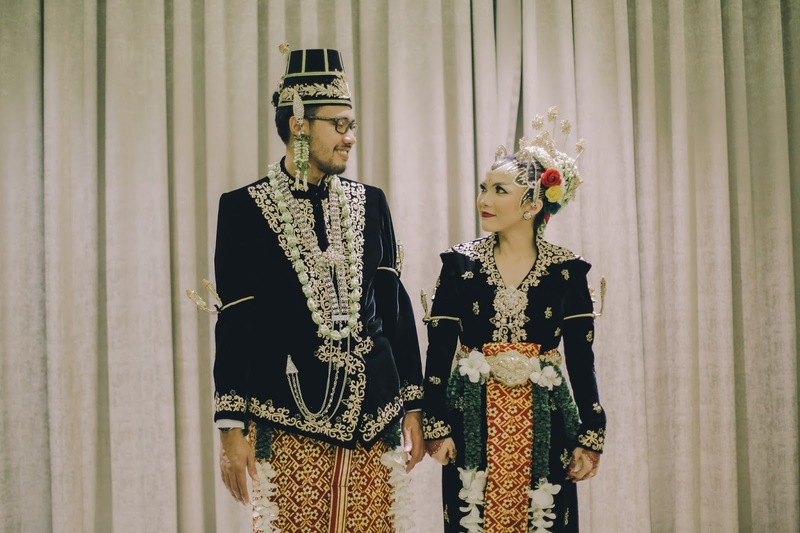 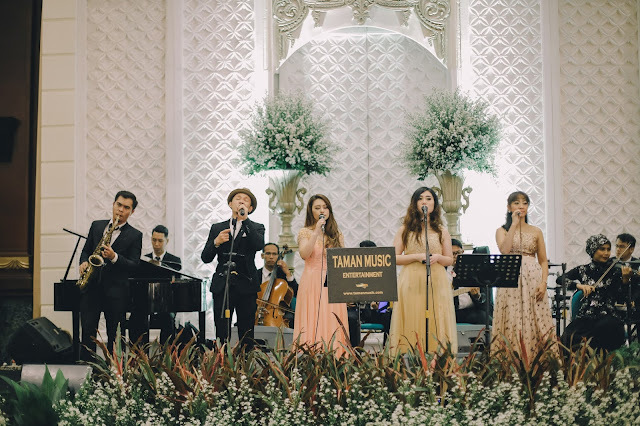 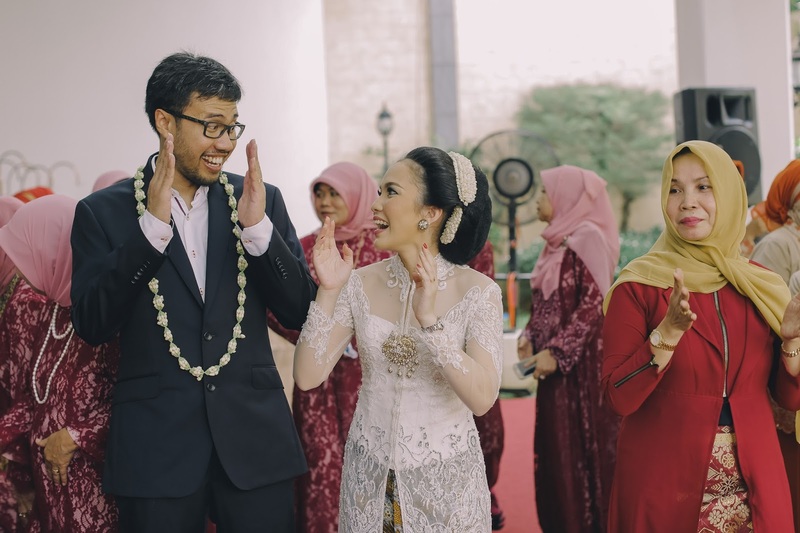 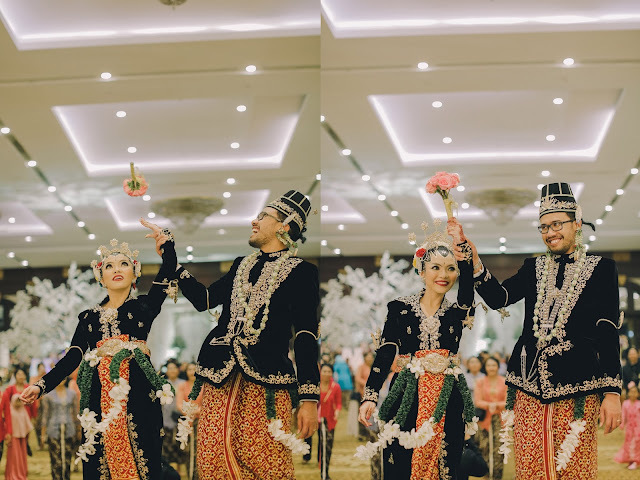 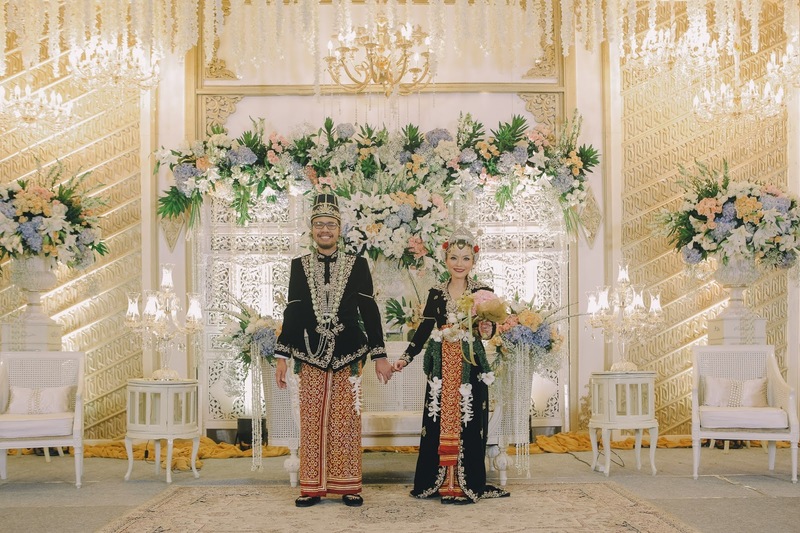 Aries & Dewi's wedding vows itself has been held in Medan right after a week before the ngunduh mantu event at Jakarta. 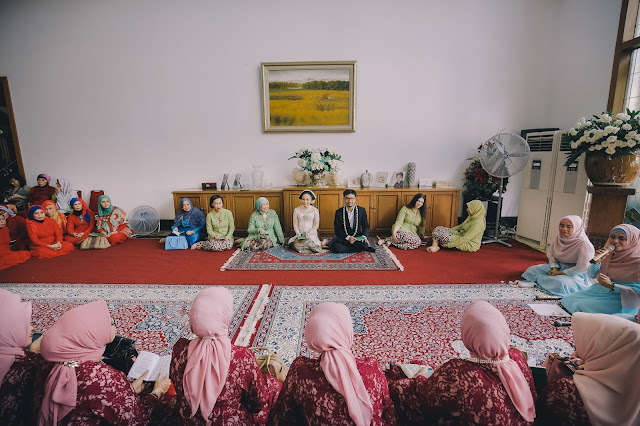 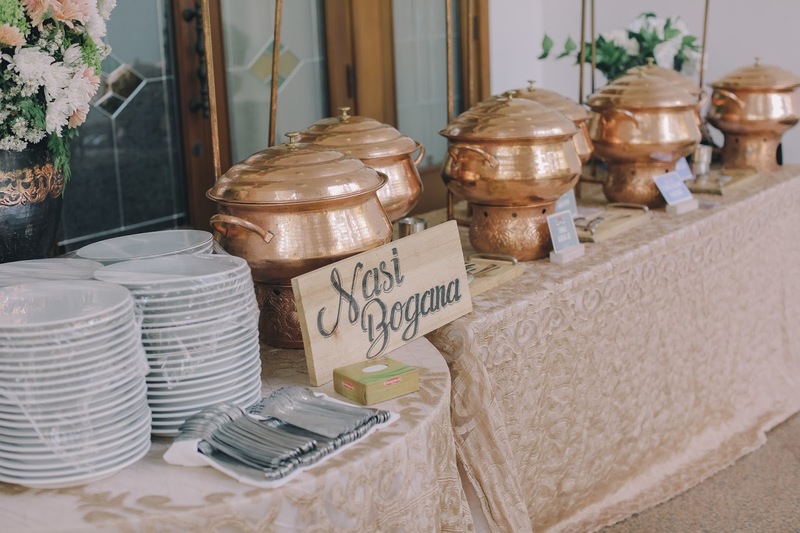 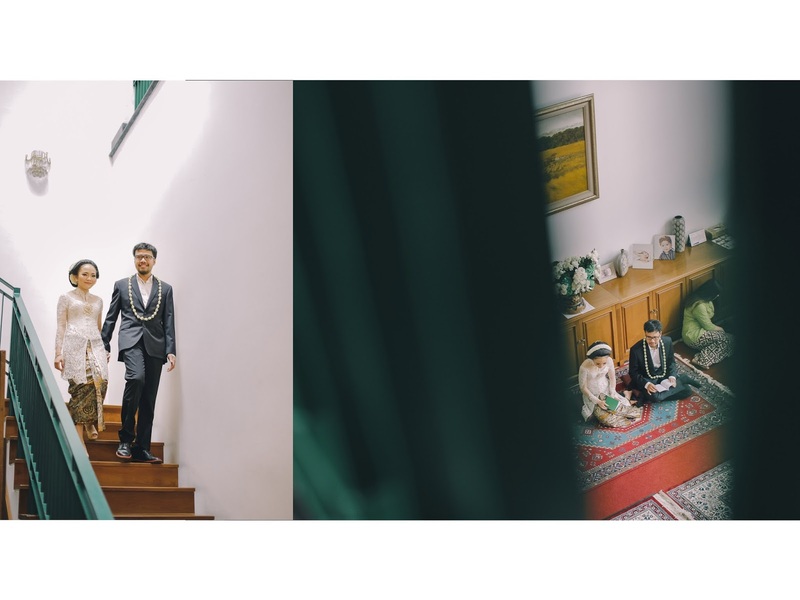 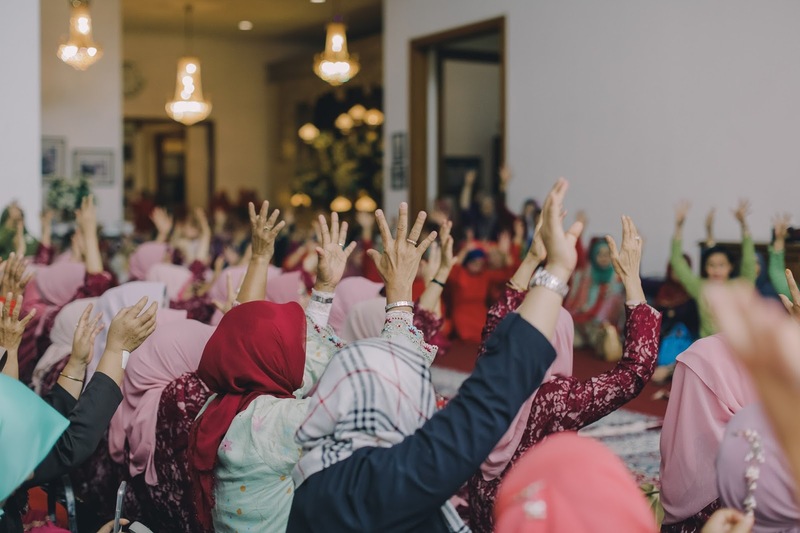 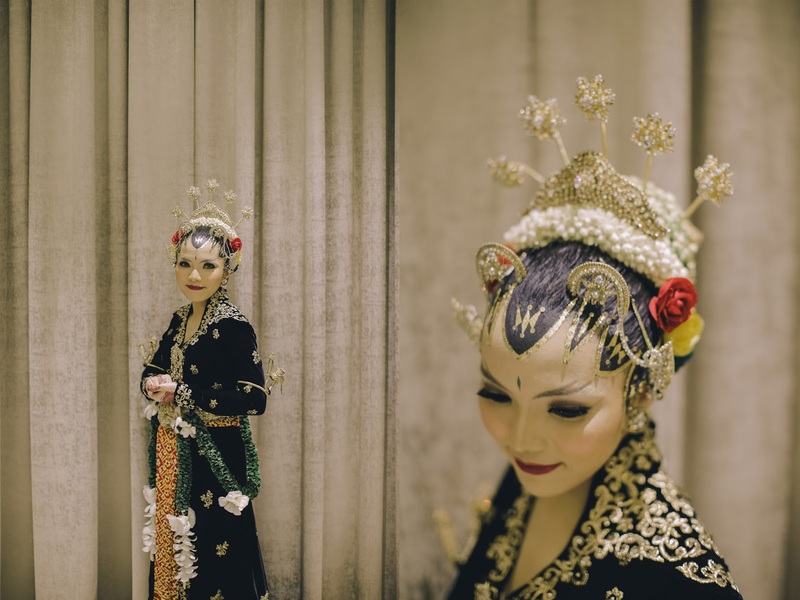 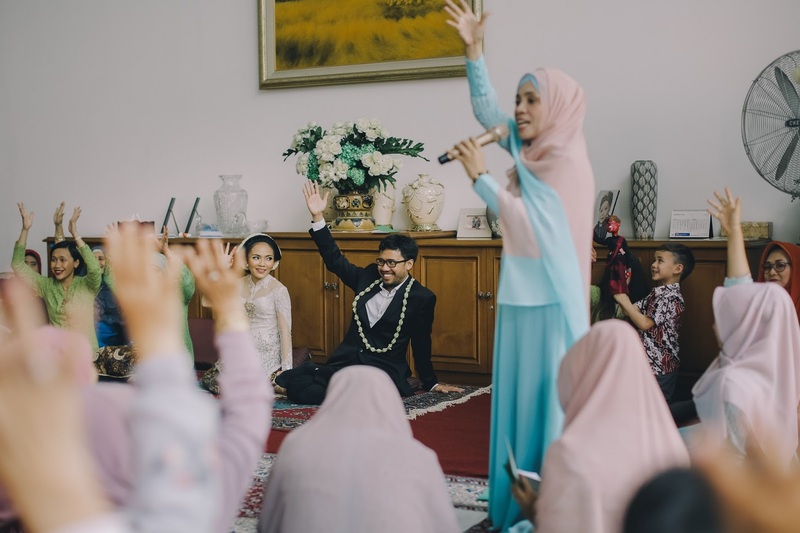 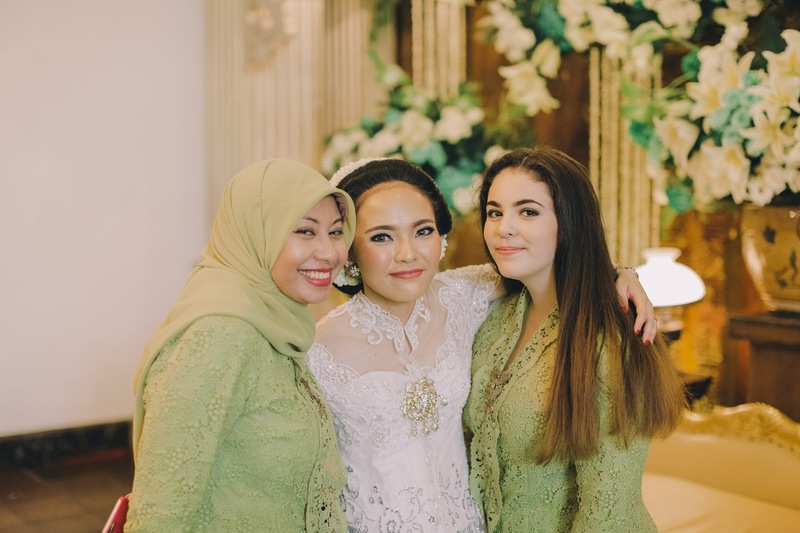 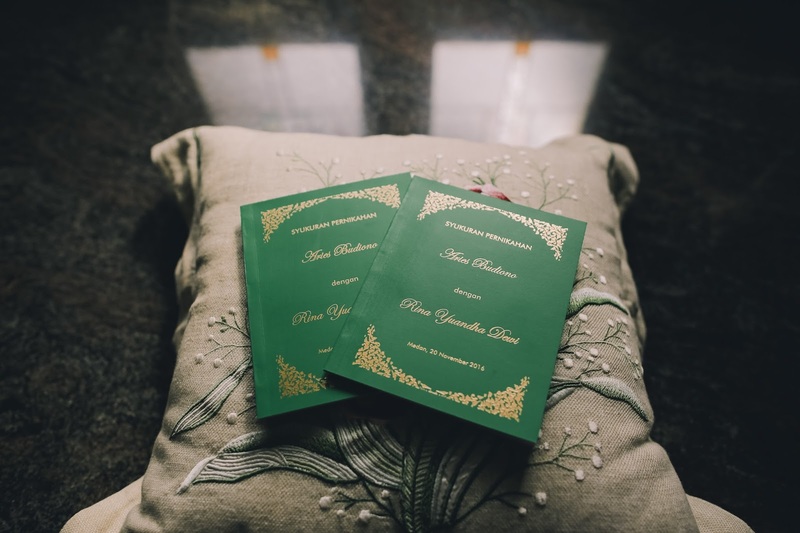 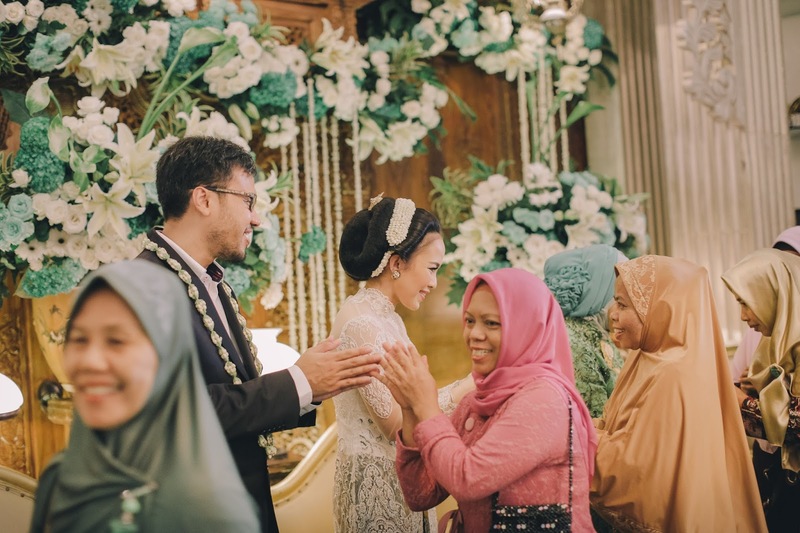 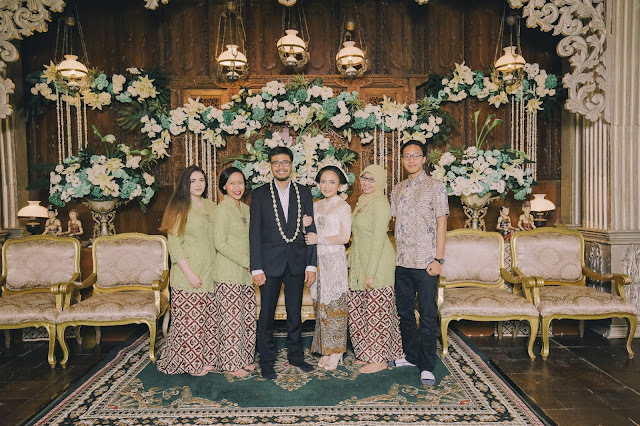 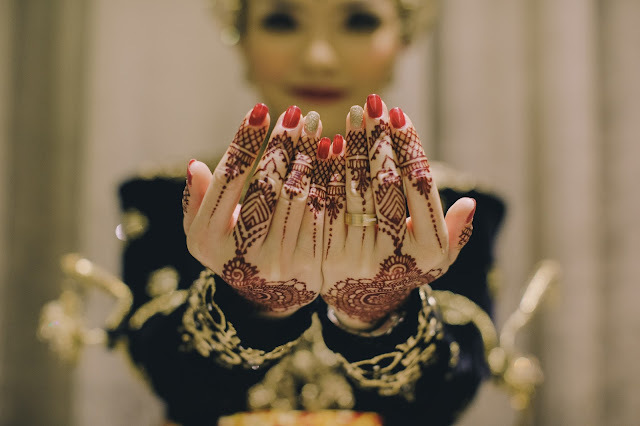 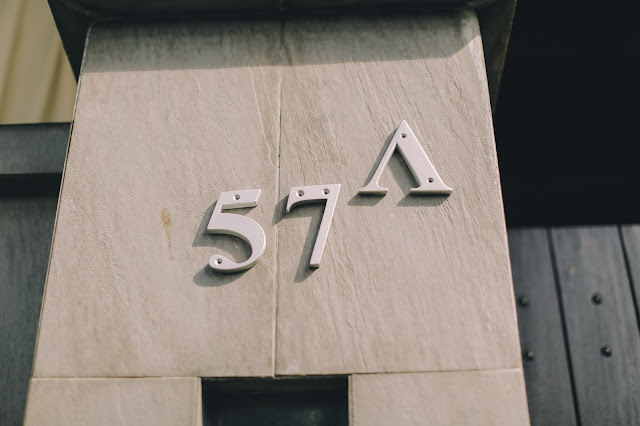 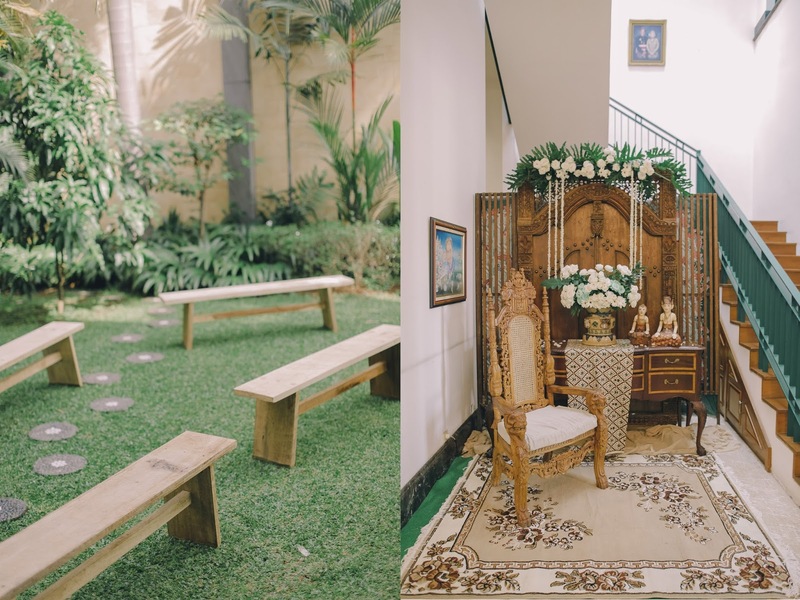 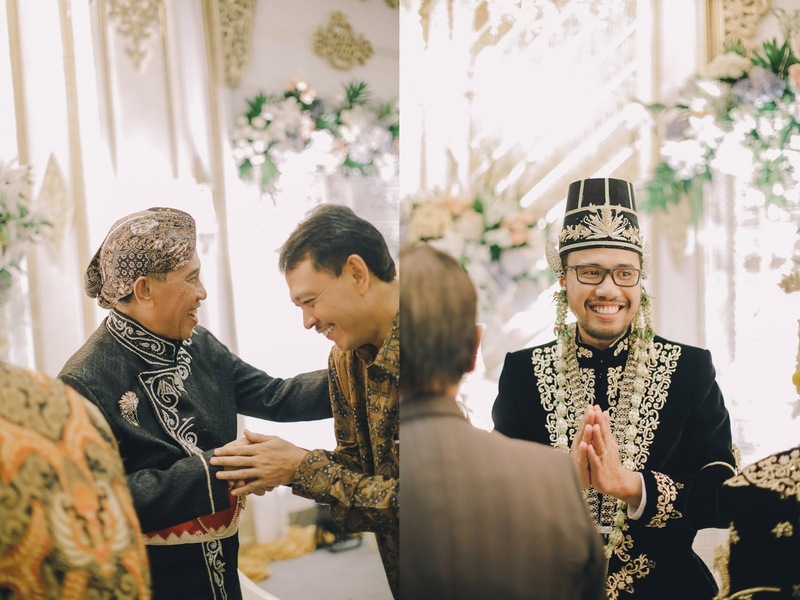 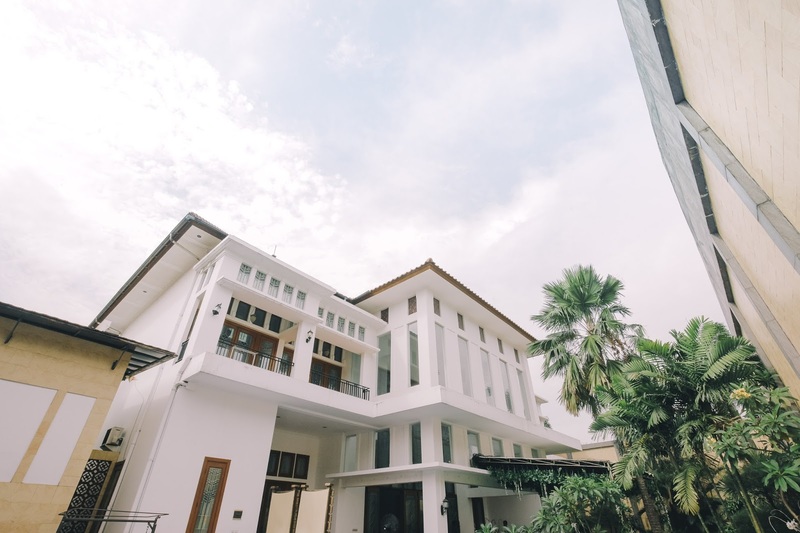 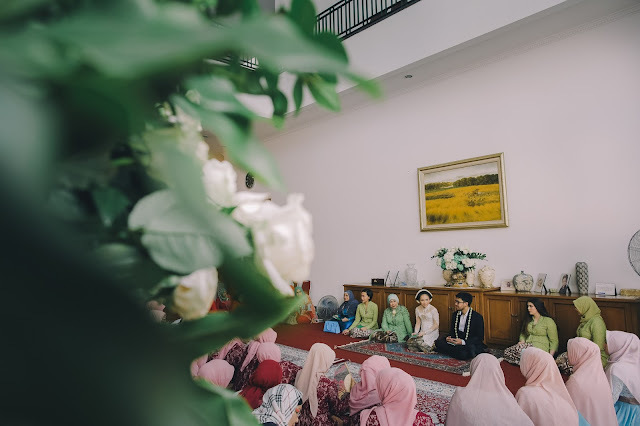 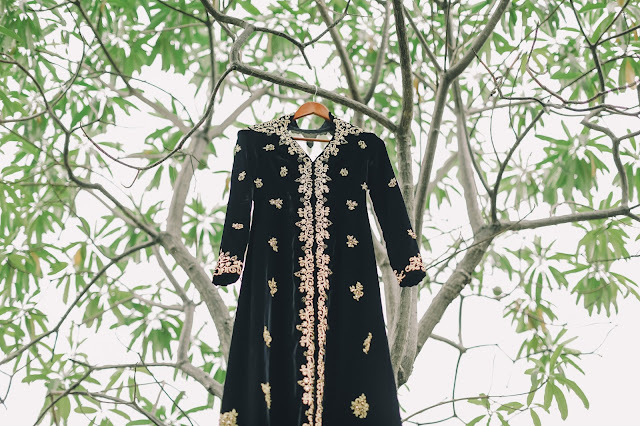 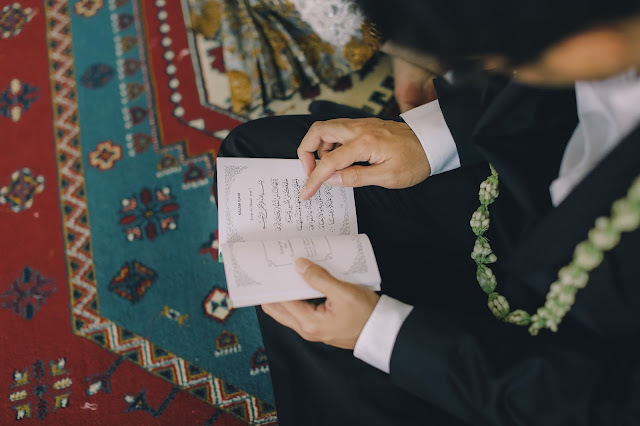 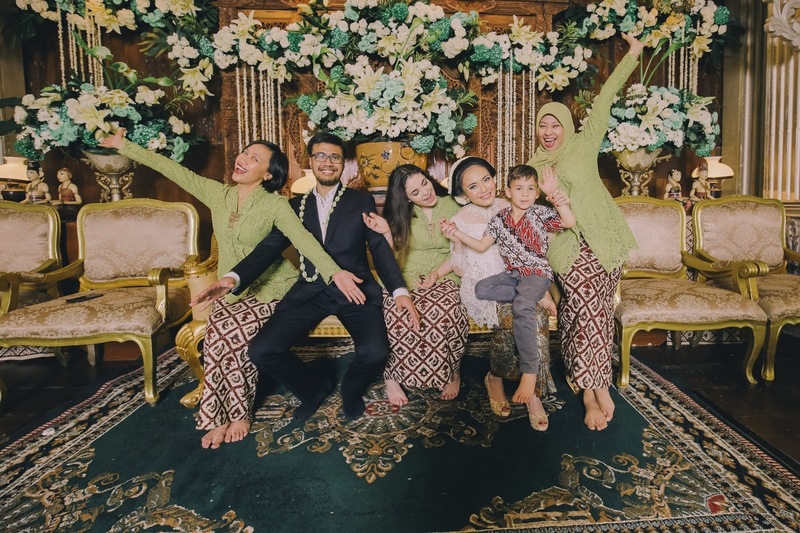 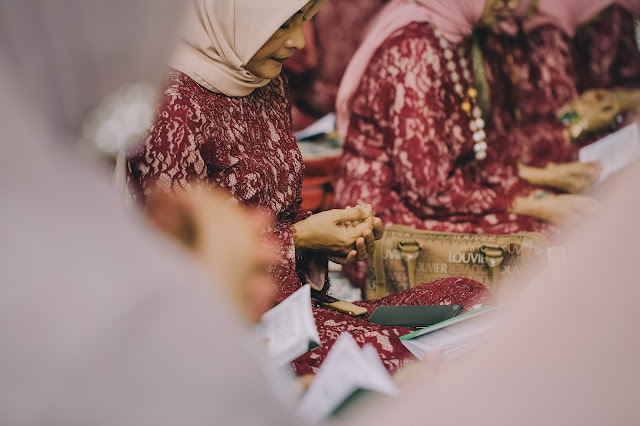 Ngunduh mantu event start with the Quran recitation and pre-party in Aries' parents house and at the same time, this event became the acquaintanceship for Dewi to Aries' big family whose didn't come to their wedding vows. 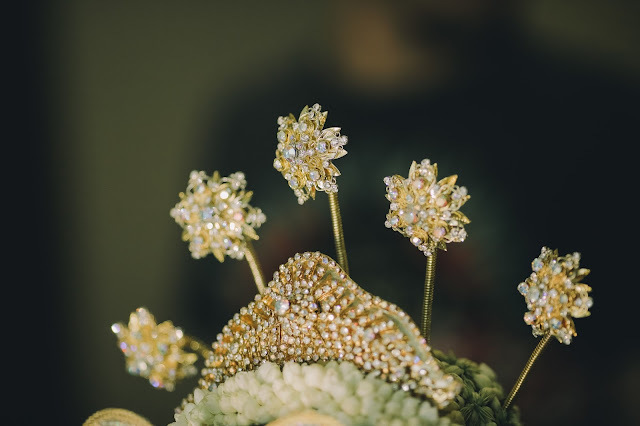 And then the event continued on the next day at Bidakarya Hotel..
Clasic Javanese was the wedding theme that have been chosen by Aries & Dewi. 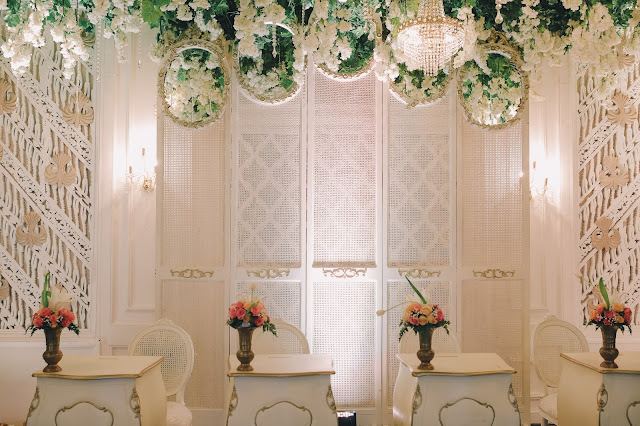 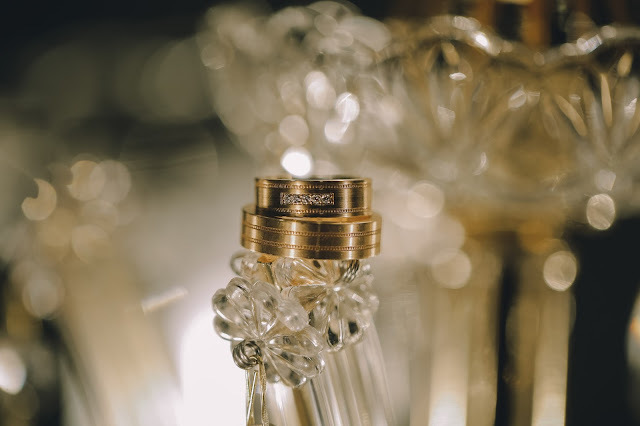 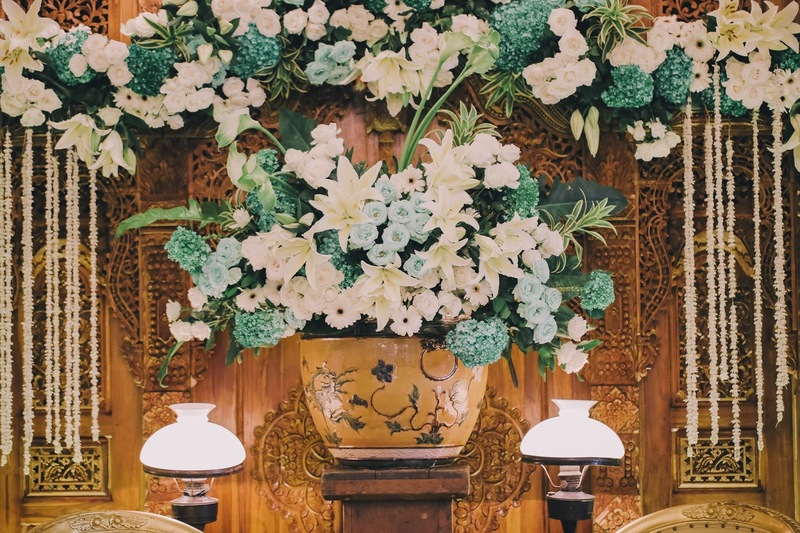 We can easily see through the wedding decoration, the color of the room is mostly white and gold with a touch of salmon and light purple coloured flowers'. 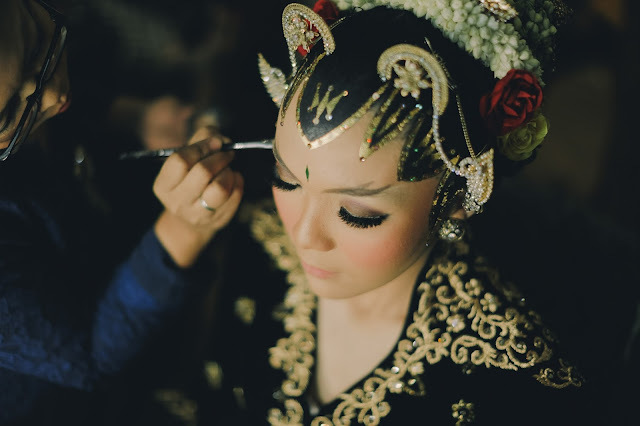 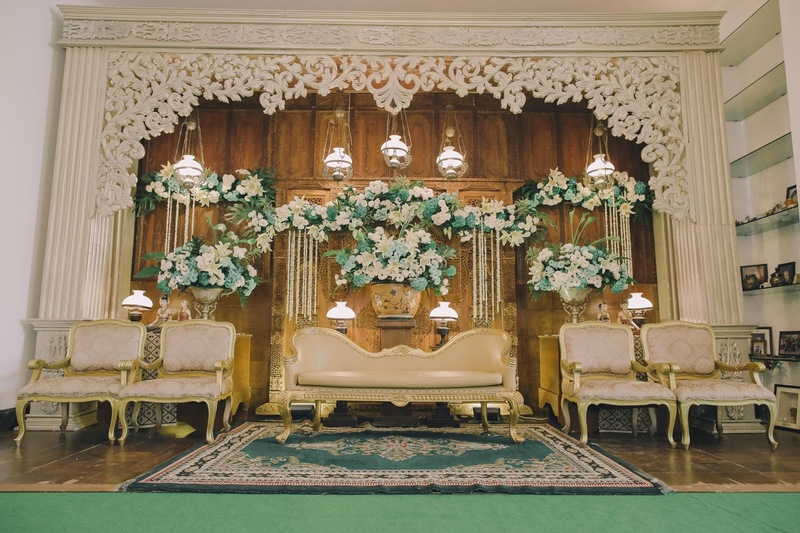 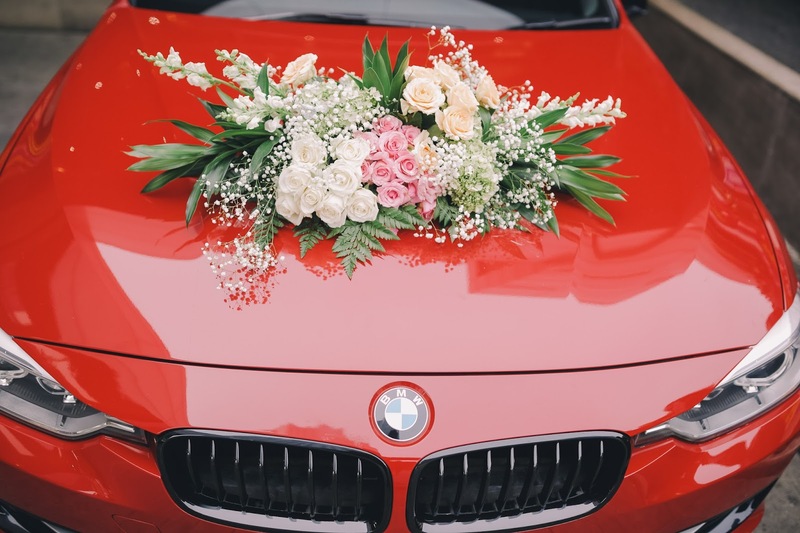 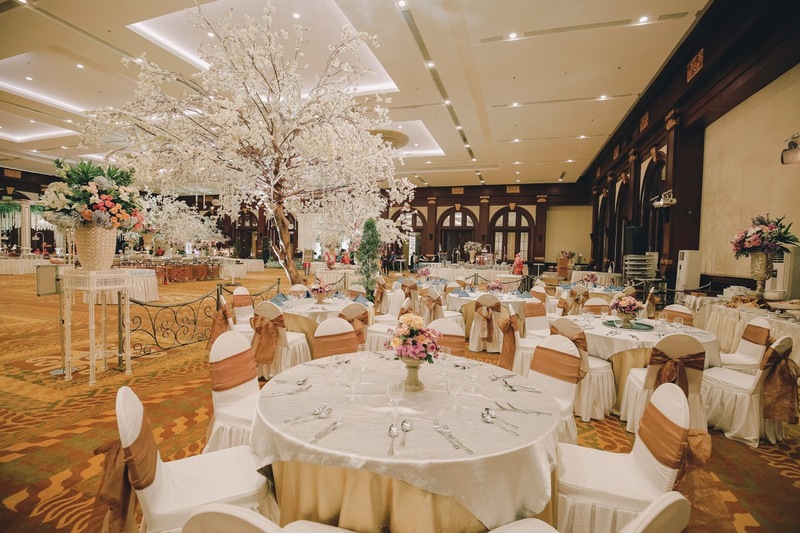 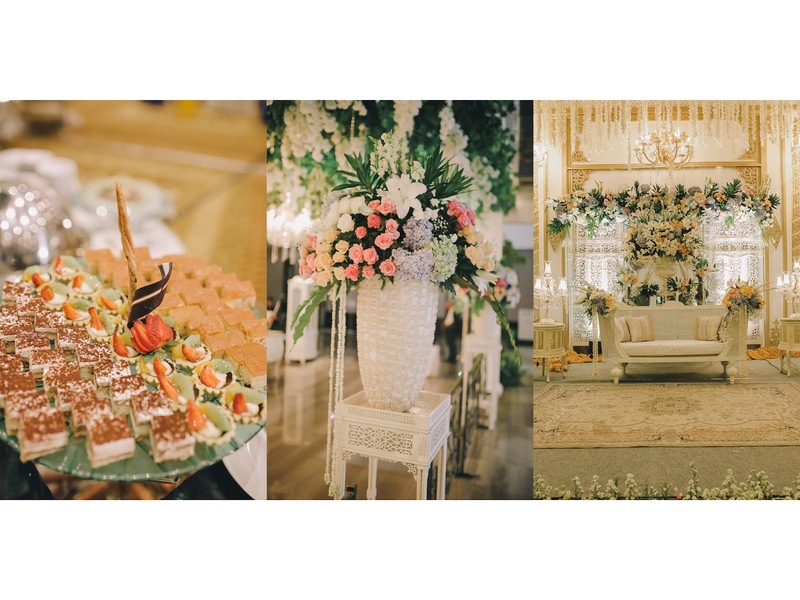 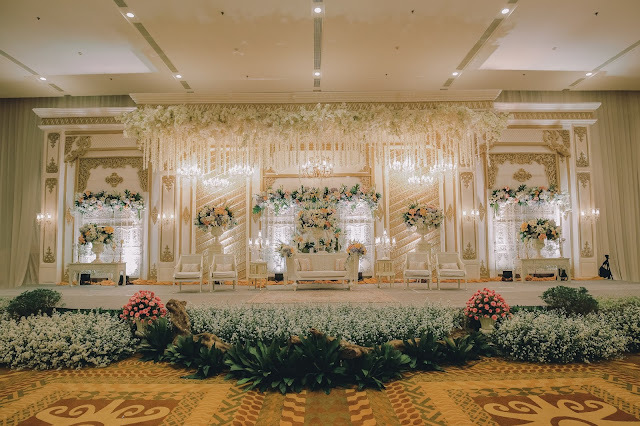 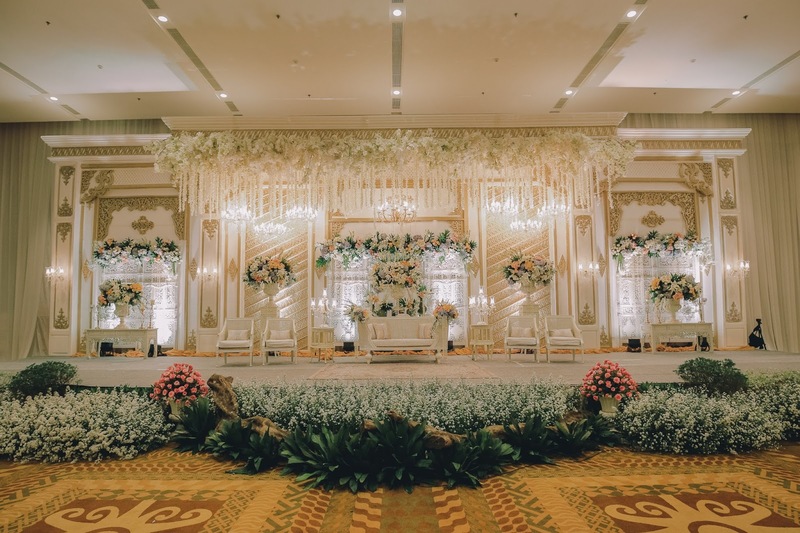 Meriah Décor can well interpreted the concept as desired by both of bride and groom, also the family. 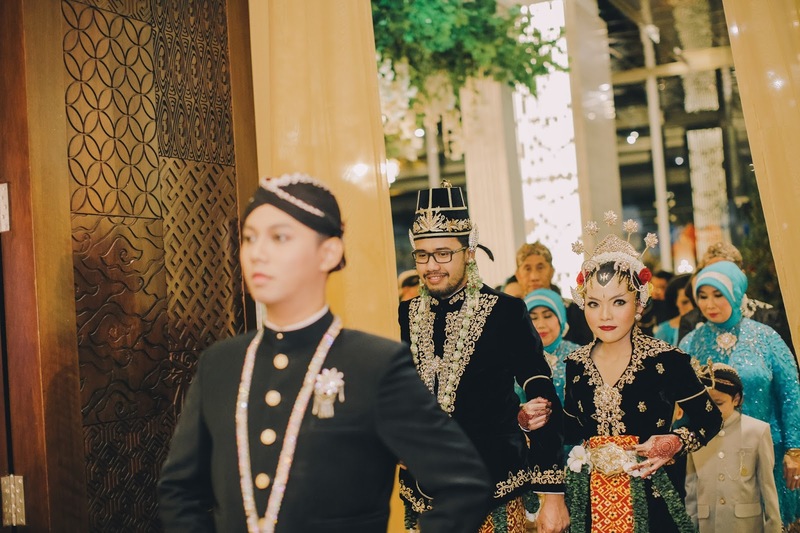 The event that day start with 'edan-edanan' procession then the bride and their both parents do kirab (convoy side by side on some traditional ceremonies in Javanese tradition) as they entered the building. 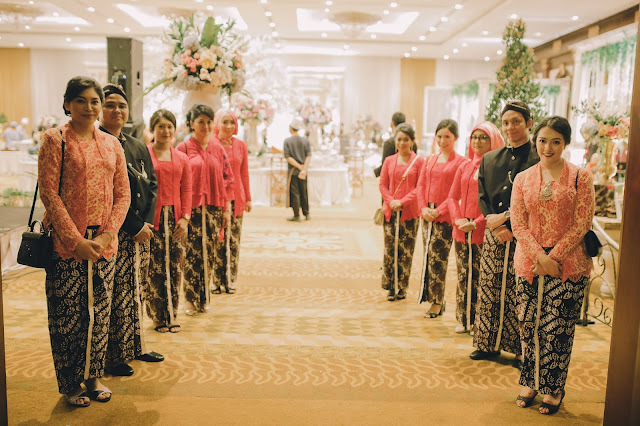 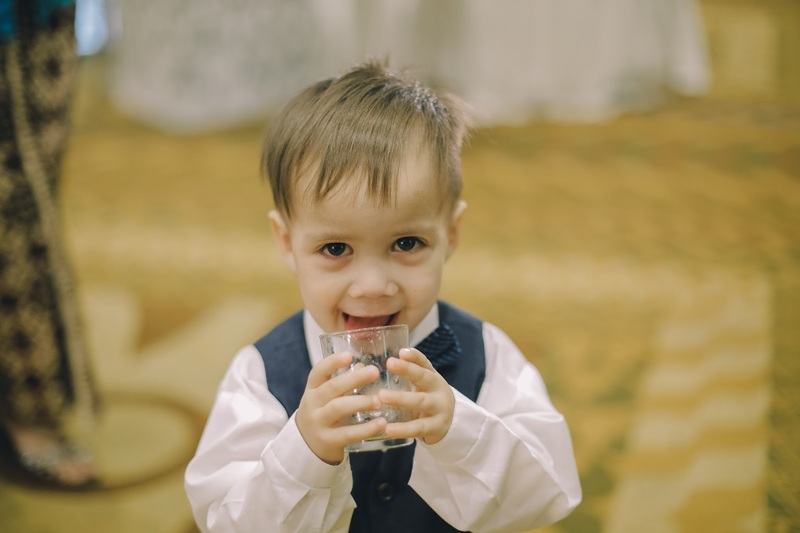 The next various events were well organized by Rose Wedding Organizer. 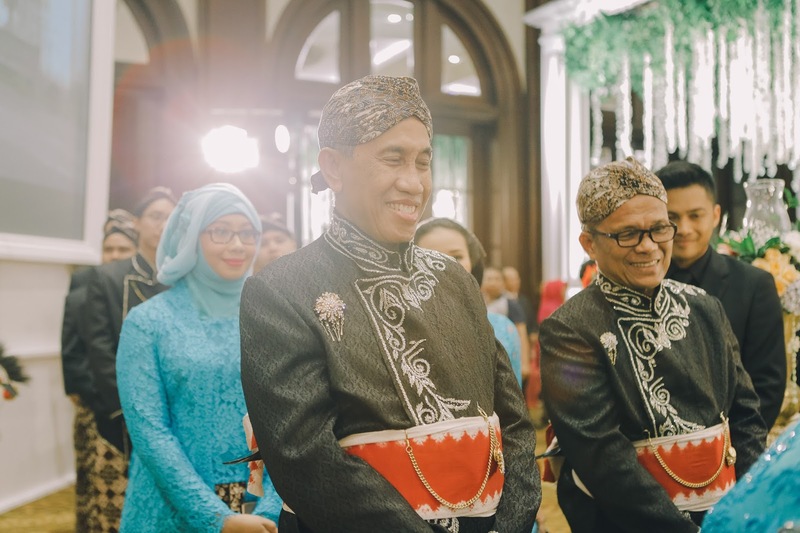 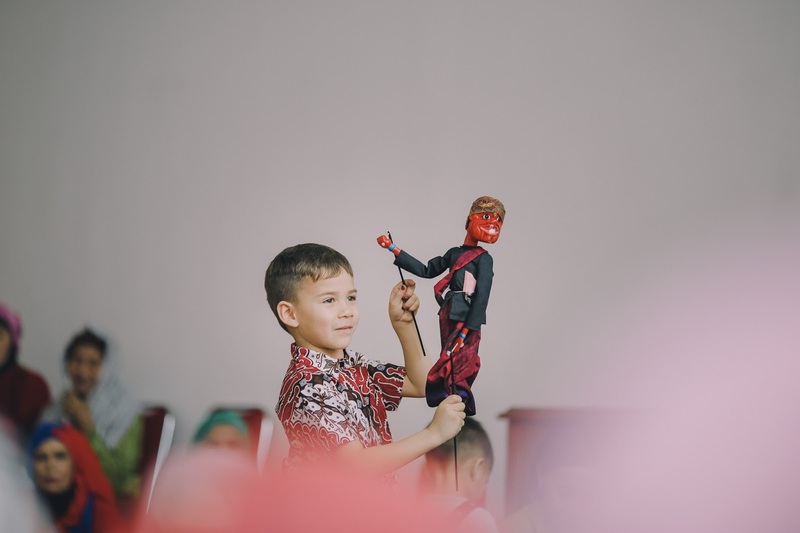 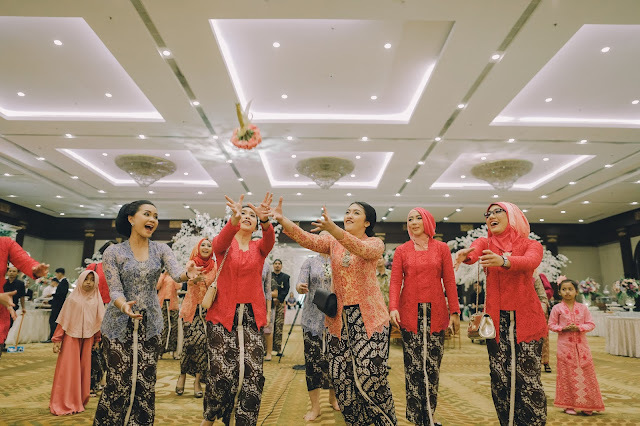 The ngunduh mantu events was so rousing on that day, both relatives and guests seemed to enjoy the meals and entertainments that had been well-prepared by the pemangku hajat (stakeholders).